I drink in this time of year. I absolutely love Easter and the springtime that surrounds it. Creation testifies what we Christians know to be true—Christ is risen! What could be more encouraging and powerful than being assured of the newness of life, the new day that is sure to dawn, the new heavens and the new earth in which we will walk? Two years ago, we buried my mother. I miss her every day. But I miss her especially now. At Easter. In the springtime. My mother celebrated 77 Easters on this earth. How many pairs of high heels did she wear with new dresses all those years? How many Easter (and Holy Week-themed) sermons did she hear? How many hams did she bake? How many asparagus casseroles did she make? Every year, my mother celebrated the resurrection of Christ as she did the year before and the year before that. It was the day that officially initiated the wearing of white shoes and the carrying of white handbags. It was a special occasion to gather the family for a hearty meal that always featured baked ham, scalloped potatoes, asparagus casserole, strawberry shortcake, and congealed salad. It was the one day each year when the entire church sang loudly, “Christ The Lord Has Risen Today,” when the excitement was palpable inside the First Presbyterian Church sanctuary in Shelbyville, Tennessee. The altar cloths had been changed to white, signifying new birth. Easter lilies dotted the pulpit. Sunlight beamed through the stained glass windows. Everything seemed brighter, lighter, and full of joy. And my mother gladly joined in. On this earth, she gave her family traditions, so that we could hang our remembrances upon meaningful symbols of Easter. And I’m so glad she did. Because when each Spring rolls around, even though I miss my mother, I have overwhelming hope. Because I know that she is living Easter right now. Every day. Every moment. She was (and is) such a picture of grace and courage in the face of death. In the end, her theme song proved true and she rejoiced because she knew that the flimsy hospital gown she wore as she took her last breath was not her final apparel. She knew on the other side waited her new Easter dress, the robe of Christ’s righteousness. Yes, my mother gets to celebrate Easter all the time. And I wouldn’t be surprised if, somehow, she gets to enjoy a new pair of white shoes and a serving of asparagus casserole every now and then, too. 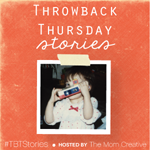 I’m participating in Throwback Thursday Stories today at The Mom Creative. 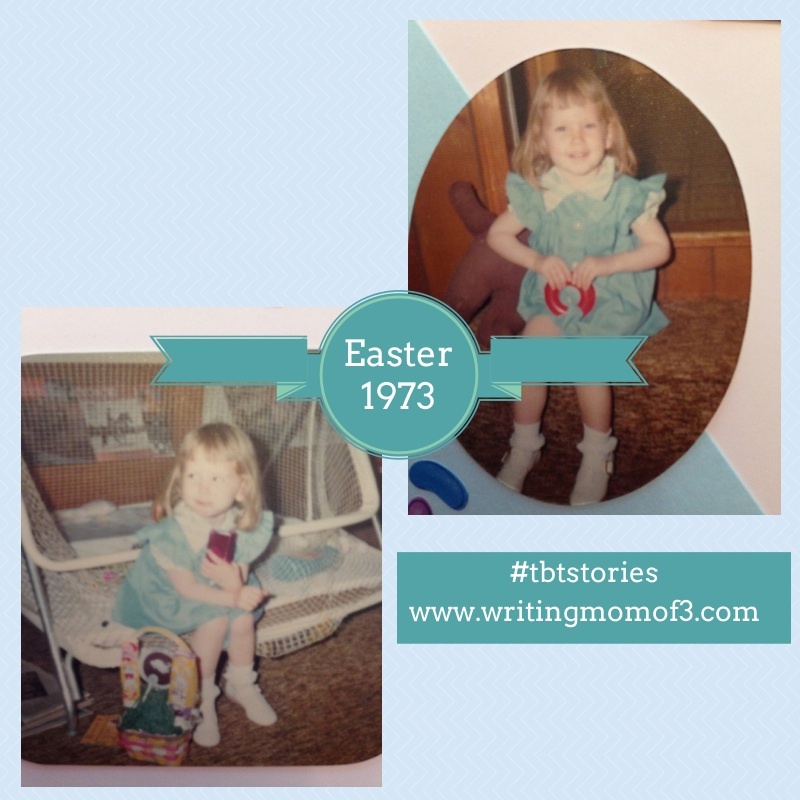 Click below to read more Throwback Thursday Stories. Want to make your own asparagus casserole? Here’s a recipe that tastes just like my mom’s. Add cheese to white sauce. In a buttered large casserole dish, in alternate layers of asparagus, white sauce, and sliced eggs. Cover top with buttered cracker crumbs. Bake in 350-degree oven for 20 minutes. Instead of using milk in your sauce drain your asparagus and use the liquid. Appreciate your visiting and commenting. Hi Mary! 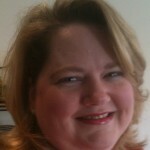 I’m chiming in here from our blogger group! 🙂 What a sweet, sweet story, Mary. Thank you for sharing. I just love what this time of year stands for…new hope…new life…all the birds chirping and flowers blooming…(although my sinuses don’t particularly care for that part…hehe…) I’ve been looking for a great Asparagus Casserole and will be pinning this to my must-try pinterest board! Blessings to you and yours! Hi there, Mary. I’m here from our blogger group, too. 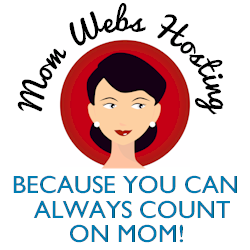 I lost my mom 12 years ago, and I am with you on how you miss your mother. You talk of her asparagus casserole — mine’s signature dish was macaroni and cheese. Thanks for sharing your memories. You helped stir mine.